Thank you all for the sweet words on my post yesterday! It means a lot to me. one. On top of taking care of the twins, I've still been working. And I have some BIG news coming soon for the company....well I'll just say it... I'm rebranding Poppy Style! 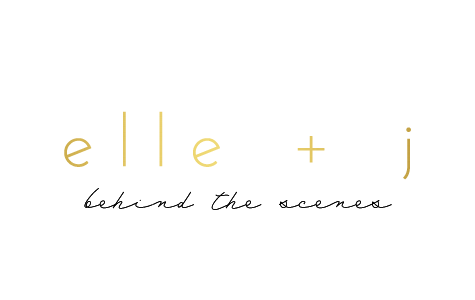 I can't wait to share the new name, logo and website with y'all! two. 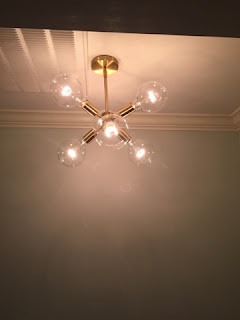 I love this light from West Elm in the hallway by my office! I can't wait to finish this space and share more. three. We have our first night out without the babies next weekend for a wedding. I am so excited! I am wearing this dress that Anthro just marked down. I can't wait to get all dressed up and eat, dance and celebrate. four. The babies' baptism is scheduled for late October and I have lots of planning to do. The invitations just arrived from Minted so now I need to rush and get them in the mail. We're having a brunch here after the service for everyone. So lots of menu planning to do! We have a family gown that Eloise will wear because she is the smallest, but I need a gown for James. I got them these Kissy Kissy outfits to wear at the brunch. five. Love these two so much!